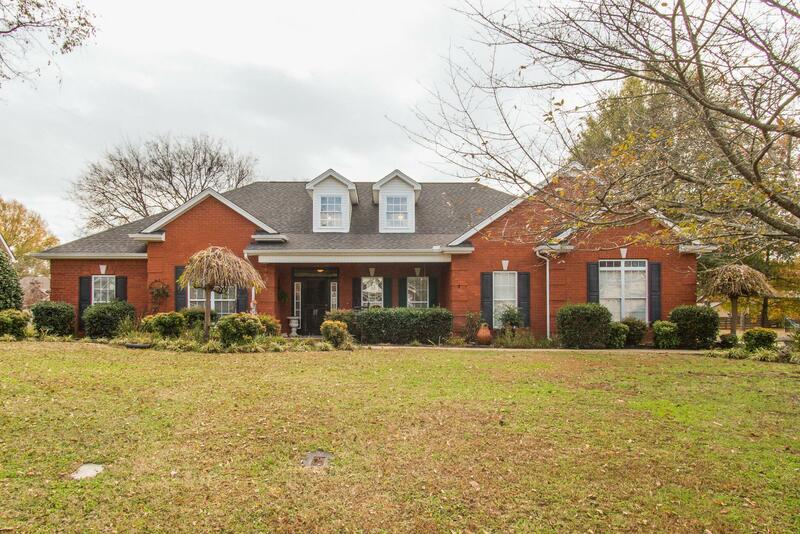 Custom built home with potential In-Law suite on the main level. Two gas fireplaces, new paint throughout, granite counter tops in kitchen, and trey ceilings/garden tub in the master. Wooden play set and shed (wired with electricity) convey with the property.